I know pixies are all the rage right now, but in my eyes, they don’t hold a candle to long, loose waves (exhibits A, B, and C: Blake Lively, Sofia Vergara, and any of the Victoria’s Secret angels). And you don’t have to be genetically blessed to get them. Many of the most sought-after heads of hair get help from extensions. To learn more about the often daunting array of fantasy-hair options, I spoke with hairstylistsAdel Chabbi and Sarah Conner, who demystified the methods, the maintenance, and more. Welcome to Hair Extensions 101. Fusion (or Bonded) Hair Extensions (like Great Lengths). Individual keratin-tipped strands are fused to your natural hair using heat. Tape-in Hair Extensions (like HotHeads). 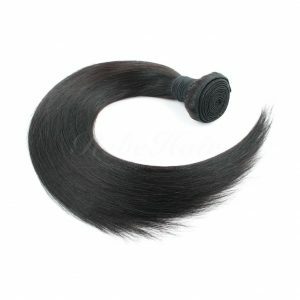 Wefts of hair are attached to small sections of your natural hair using double-sided tape. 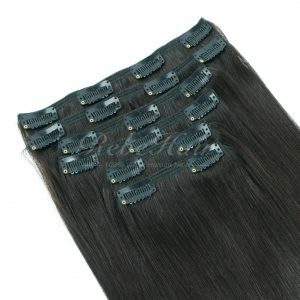 Weave (or Sew-in) Hair Extensions. 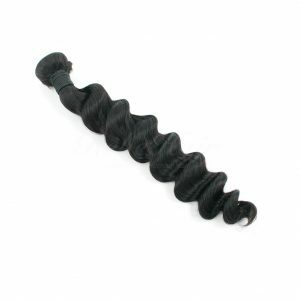 Your natural hair is braided in rows from ear to ear and wefts of hair are woven (with thread) onto the braids. When it comes to purchasing hair, you get what you pay for. 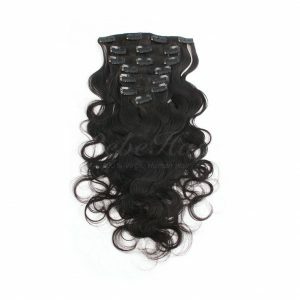 Price will vary greatly based on quality of the hair, as well as the desired quantity (for thickness) and length. 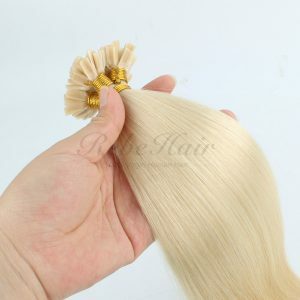 Virgin (never-before-processed) Remy human hair is the highest quality and runs upwards of several hundred dollars per bunch (and some heads may require more than one). “The hair cuticle is preserved, instead of stripped, and all the hairs run in the same direction, maintaining that natural soft, silky texture,” says Conner. 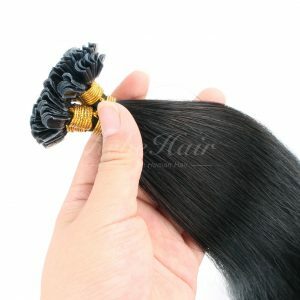 Synthetic hair is much cheaper ($50 to $100) but won’t blend or style the way human hair does. 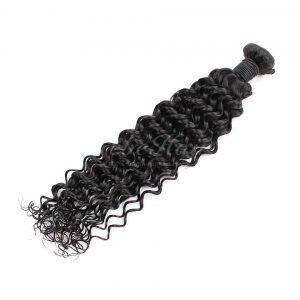 “It can’t always withstand heat styling and tangles easily,” says Chabbi. It can be a great way to try out extra length or bangs without a big commitment, though. “It’s important to match the color and texture of the hair extensions with that of your natural hair,” says Conner. Touch the hair first. “If it feels dry, it’s going to tangle more easily,” advises Chabbi. And avoid hair with excessive shine: Shiny hair is coated with silicone, which will wear off quickly and lead to tangles and dulling. As for your stylist, experience is a must. “Improper application or removal is when damage can occur,” says Chabbi. And Conner recommends looking for someone with a colorist background: “If the color match is off, your extensions will be very obvious,” she says. Good extensions should be entirely undetectable—blending your natural hair with the extension is critical. The best way to do this? A great cut. “After the extensions are in, your hair should be cut dry, with layers that blend the two hair types,” says Chabbi. 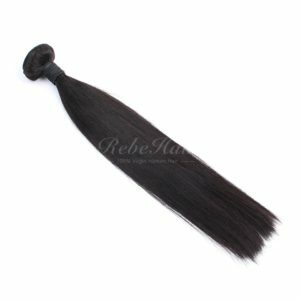 You can color extensions darker (no bleaching! ), but it’s best to choose a shade close to your natural color to avoid overprocessing. Or you can mix and match various shades for a more natural-looking blend. As for at-home styling, extensions should allow you to wash and wear. Extension hair should be cared for just like your natural hair: gently. “Be extra careful with wet hair,” says Chabbi, who advises drying hair completely with your fingers before using a brush to style. Avoid tugging or yanking at the extensions while brushing. Instead, hold hair at the root, and begin detangling starting at the ends. You can use all of your favorite hair products, but keep oils away from the roots in order to prevent the bond, tape, or weave from slipping. “At bedtime, put your hair in a loose braid so it doesn’t get matted or tangled while you sleep,” recommends Conner. This entry was posted in Hair Extensions 101 and tagged fusion hair extensions, hair weave 101, human hair weave, tape in hair, Weave (or Sew-in) Hair Extensions. 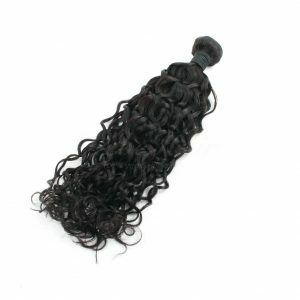 How To Start Human Hair Weave Business?